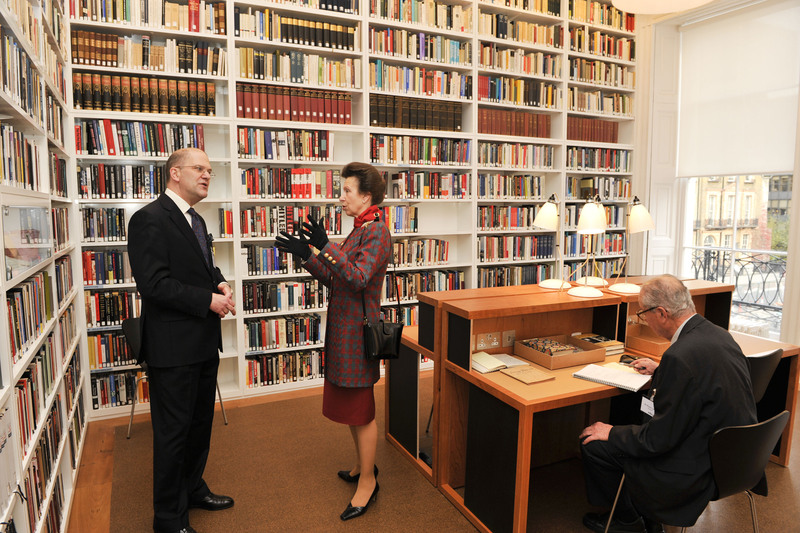 Picture shows HRH The Princess Royal in the reading room opening the new home of the Wiener Library on 1st December 2011 (courtesy of the Wiener Library twitter page). This entry was posted in Library and Archives and tagged archives, Germany, Holocaust, Holocaust Education, research, researcher, special collections, Weiner Library. Bookmark the permalink.